adidas tapped us to launch Terrex, their outdoor sports line, in Asia. But rock climbing, trail running, and mountain biking are unheard of there. So we needed to introduce a new brand for adidas – and also sell an entirely new genre of sports to the Chinese people. Between the stress of parents' judgments to the rigid expectations of society, Chinese cities can be inhibiting. But nature doesn't judge you. In the outdoors, you're free to try, mess up, experiment, and become whoever you want to be. You're free to create. 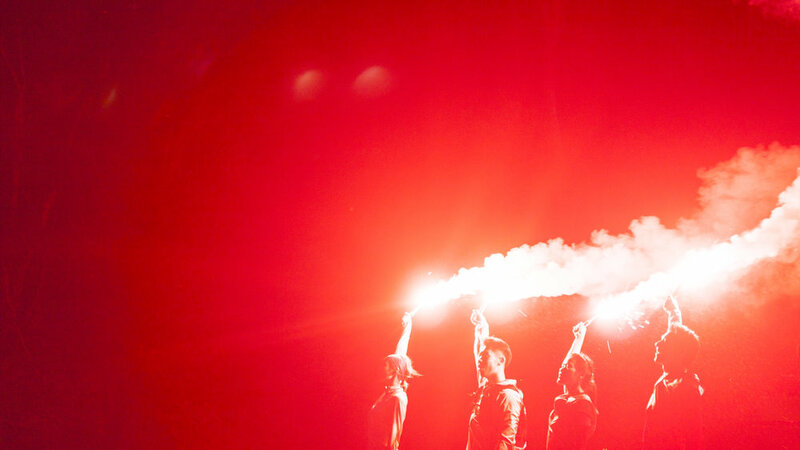 The biggest Asia brand launch in adidas' history, our film became a rallying cry for Chinese youth everywhere. To escape the suffocating rules and expectations of the city. To leave behind conformity. And to go outdoors, explore the unknown, and become their best selves. Their most unique selves. We partnered with trail blazing Chinese athletes who each find their own kind of freedom in the outdoors. We used them to inspire others through social and digital storytelling. One of the best rock climbers in China. One of the only women in this underground new sport. Though pale, delicate skin is still the beauty standard in Asia, she happily defies it with her tanned complexion & impressive collection of scars. From a small Southern town, Zhang should have followed his father's footsteps. Instead, he fell in love with a sport no one in his town had ever heard of. So he taught himself to mountain bike through (illegally watched) YouTube videos. And now he races the world circuit. A former competitive long jumper, Lin left the singular, suffocating lifestyle of the Olympic Academy behind. Now she chases many passions. Trail runner, yogi, dancer. She defies cultural expectations to master just one thing, fusing them together in unexpected ways. As a wildly popular actor, it's unheard of that Mark is also a trail runner. He gets constant pressure to focus solely on his craft. But he shrugs it off, knowing that with every step he takes trail running, he's becoming a stronger person in everything he does. Pushing off the juxtaposition of city and nature, we created striking conceptual visuals. Ones that invite Creators to leave their city streets behind and seek out new adventure in the outdoors. All of these elements combined to entice the next generation of Chinese creators to the outdoors. To show nature as fresh terrain for them to run free, create their own identity, and decide their own future.